According to a recent article from WCVB Boston, a worker was killed when a construction lift tipped over. Federal safety officials say the fatal on-the-job accident occurred behind St. Mary’s School in Taunton. The construction lift was being operated on a slope at the rear boundary of the property, adjacent to the hospital. Federal and local safety inspectors are not exactly sure what happened in the accident in which this worker was killed. They do know, however, that what they are describing as a large aerial lift was on the slope when it toppled over, causing the death of a worker. There was a fence around the lift, which was partially crushed by the fallen lift, and the scene was somewhat chaotic. There were police, workers in hard hats, and safety experts everywhere. The United States Occupational Safety and Health Administration (OSHA) is required to investigate all fatal on-the-job accidents and has taken charge of the investigation in this case. While the agency is not releasing any information as to whether the injured employee was operating the lift or on the ground at the time of the accident, they have released a statement saying they will confirm that OSHA has responded to reports of a fatal aerial lift tip over. The agency will attempt to determine cause of the accident and see if any safety violations occurred that contributed to the tragedy. It should be noted, there have been no accusations of any safety violations in connection with this deadly workplace accident. As our Boston workers’ compensation lawyers can explain, unlike in a personal injury case, there is no requirement for finding of fault on behalf of employer in order for an injured employee or his or her family to recover benefits in the case of a fatal workplace accident. This is different from a civil personal injury lawsuit, where the plaintiff must prove defendant was negligent by a preponderance of the evidence. This is one of the main benefits to having the ability to file a workers’ compensation claim. The reason for this is because workers’ compensation was created as a compromise between the needs of injured workers and employers. Employees who were injured on the job needed a way to access much needed money quickly after an on-the-job injury, and employers desire to keep their expenses predictable. 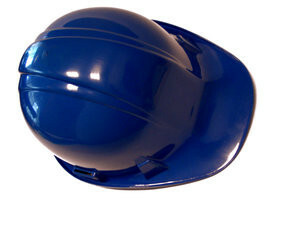 Employers are required to maintain workers’ compensation insurance. However, a central part of this compromise is that, if an employee is injured on the job, he or she must apply for workers’ compensation and is not eligible to file a civil negligence lawsuit, even if the employer was at fault in the accident. The only remedy available in most cases is workers’ compensation, and fault is not relevant. This compromise is also a benefit to employers, as pain and suffering damages, as well as other types of non-economic damages, are not available in a workers’ compensation action. Workers compensation is designed to compensate injured employers for past and future medical expenses and lost wages for time missed from work.